Just in case you’ve heard enough about organizing & closets for the moment… Here is a PURELY RANDOM post! (one of my first posts, back in 2012). For some reason, I woke up thinking back to when I was a child. It appears that in those days, I made my own chaos and it was rather constant. Between the ages of about 4-6, I had these “eating episodes”. Once I ate a whole jar of dill pickles, I guess that I couldn’t eat just one or two or ten, I had to eat them all. Then one day, my mother baked a cake and had set it out to cool. She got a phone call and you can guess the rest…. My mom got off the phone and asked who had eaten the middle out of her cake (I guess I thought that if I left the outside of the cake, that she wouldn’t notice). I said “I don’t know” (mind you that I was the only child in the house at the time). Take 30 minutes to …. With our hectic schedule, our time is very valuable. However, you’d be amazed at how much you can get done in 30 minutes or less. Please click “Power Nap” and find out the perfect way to renew your energy during the day. 12 is the biblical number for ORDER! We’re coming up on 33 and the Best is Yet to be!! Before writing this post, I took a trip down memory lane. It is amazing how much can happen in your life in 30 years…. and as a friend of mine always says “To the most casual observer”, it is obvious that the Lord truly Orders Our Steps! 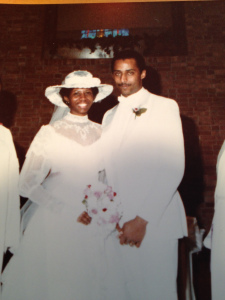 On Monday, March 10th, my husband and I will celebrate our 30thanniversary.